Reading an article from The Gurdian today I discover that Google finally plans to lower results from what are deemed as pirate or illegal (https://www.theguardian.com/technology/2017/feb/20/google-and-bing-to-demote-piracy-websites). It is obviously quite late and even in the article a spokesman says it is ‘no silver bullet’. The aim for this is to make it harder for users to find pirate material, but in recent years we see that blocking sites has no ill effect to piracy. The music industry in the 90’s received a rude awakening by the internet when consumers started to pirate music on a mass scale, only recently providing alternatives to their traditional model of single sales. Ownership has been replaced by renting with services such as Spotify which enable a user to stream music but not actually own it for a monthly fee. An academic study still states that streaming isn’t stopping piracy (http://www.sciencedirect.com/science/article/pii/S0969698916301849), had the music industry been too slow in implementing a suitable model for consumers to use rather than piracy? If we look at the premier league, they have kept the same format of subscription for quite a while, only NOWTV (a match-by-match purchase alternative) was started four years ago. This is in contrast with Kodi which has been developed since 2004 and is the source of a lot of piracy to everyday consumers, to which people purchase a ‘Kodi Box’, a familiar Android system which has apps enabling people to watch various content. There is correlation to sticking to a model by the music industry with the sport entertainment industry, although ofcourse, you cannot ‘own’ sport entertainment. What is interesting to note, is how slow industries are to react to piracy in an effective way, with most simply opting to fight fire with fire in my opinion. Social media has a big part in information distribution in regards to piracy, it is also much harder to cut down on. Examples of this can be a YouTube tutorial on bypassing the block, Facebook users having a conversation or on Twitter where a link is shared. The most technological minded users on these sites use their knowledge and pass it down, simplified albeit, to non-technological audience to continue pirating. Multiple tech savvy users also produce websites linking football streams, they are then shared on multiple platforms like Twitter, Reddit and Facebook. This has left the entertainment industry with a still very large and hard issue, how can it be stopped? Blanket censorship on live streams sites is implausible, if it isn’t Twitter, Facebook or YouTube an alternative would be developed. The word monopoly can mean different things to people, some see it as a positive, dominating in business and getting as much profit as possible compared to competitors. Others would see a monopoly as an ugly word pushing prices up because of the market share a particular company has on a product, becoming more powerful and relentlessly attacking independent small businesses. The TV channels in the UK that cover The Premier League, arguably the biggest league in the world, have been consistently rising the prices of subscription fees to their services (http://www.mirror.co.uk/money/sky-prices-going-up-march-9658301)(http://www.independent.co.uk/news/business/news/subscription-costs-to-rise-after-skys-42bn-bet-on-football-rights-10121473.html)(http://www.wired.co.uk/article/bt-broadband-bt-sport-price-increases). This is mostly to stay competitive as the premier leagues TV rights increase by 71% (http://www.bbc.co.uk/news/business-31379128). Looking into Google trends we can see an interesting trend, when searching for ‘Sky Sports’ in Google Trends we can see a slight decline in interest overall as the graph depicts, this is because sport content has become available easily on the internet, alternative providers, be they illegal or legal. The related queries for Sky Sports show the rise of piracy online with the big providers showing one query being ‘cricfree sky sports’ and ‘wiziwig’. Wiziwig was subsequently shutdown in 2015 (http://www.independent.co.uk/voices/comment/the-premier-league-has-shut-down-wiziwig-but-it-cant-keep-the-pirates-at-bay-for-ever-9959136.html) but alternatives with similar names cropped up early one, this is similar to what happened when Silk Road was shutdown (http://www.theverge.com/2013/10/4/4799770/drug-dealers-set-up-mini-silk-roads-after-federal-bust) and Pirate Bay (discluding mirrors in arguement)(https://www.extremetech.com/extreme/195936-the-pirate-bay-revived-by-rival-isohunt-while-figures-show-no-decline-in-piracy-after-shutdown). Looking at Google Trends for the term ‘Kodi Box’ show us a very interesting picture. From late 2014, Kodi begins it’s appearance in Google search terms and begins to rise. It has had slight decline but seems to have steady growth and is only one alternative in sport piracy, a hub for providers like cricfree and others a like. Cricfree holds a range of different coverage of sports, but has a main audience of Football. It’s Administrators are competent and well versed in censorship circumvention and is by far the biggest source to find football via Flash streaming online at this moment of time. Cricfree’s trend peak was around March-April 2016, similar to Kodi’s Trend which was set to a 100 on Googles scale. The correlation to the services rise can be in my view down to the announcement from media outlets on further price rises to services, most, published in March to April 2016. (http://www.moneysavingexpert.com/news/protect/2016/03/customers-could-pay-72-extra-a-year-for-sky, http://www.express.co.uk/life-style/science-technology/655242/Sky-TV-Subscription-UK-Prices-Increase-June, http://www.mirror.co.uk/money/sky-tv-hiking-prices-again-7600479, http://www.telegraph.co.uk/bills-and-utilities/tv/how-to-avoid-sky-price-hikes/, https://recombu.com/digital/article/sky-price-rises-june-2016-sport-movies-bundles-increases). Google Trends show that people still use Google so this policy is a step in the right direction? Well if we look at social media to quantify the popularity, we can see that information is distributed in many ways. We cannot resolve by censoring as there are too many sources, it depicts that we cannot always rely on technological solutions for technological problems. From 116 posts about ‘cricfree’ on Twitter which 99 users posted, 101,528 people were reached (I’ve used Keyhole.co for these statistics). A YouTube video which was showing users how to get BT Sport and Sky Sports for free on Android/IOS devices has 54,000 views in a year. In various Football Team Subreddits which some have 50,000+ members outline how to watch the game for free using Kodi and other equipment in a one time cost. Facebook’s video platform is exploited often to show premier league games, although shutdown often, appear once again soon after the former is closed. So why is football piracy becoming so popular? Football is undoubtedly the UK’s most popular sport and it has always been popular with the working class as one study states ‘atleast from the 1890s on’ (http://www.pages.drexel.edu/~rosenl/sports%20Folder/Sport%20and%20the%20Working%20Classes.pdf). 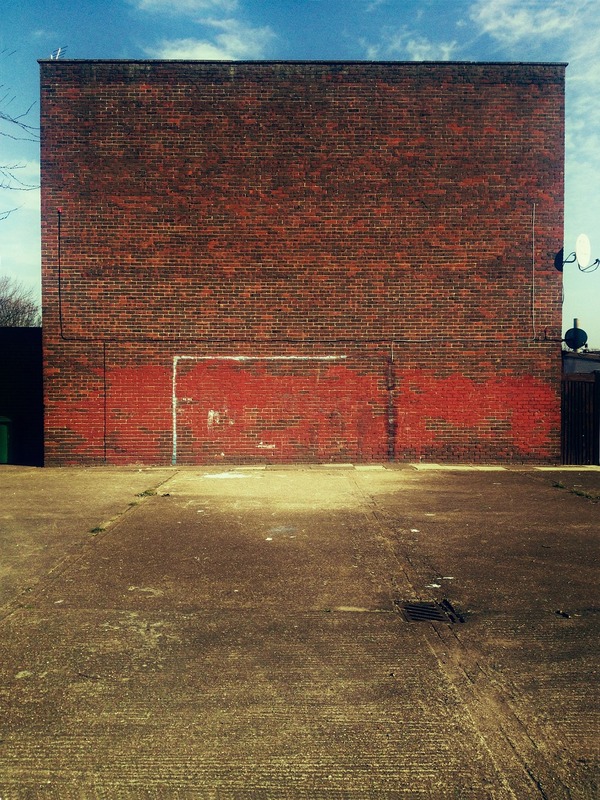 Due to the huge media coverage of Football overall all around the world, ticket prices around the country have increased to a hefty sum, football stadiums have seen a gentrification from 90’s-00’s and with clubs starting to build new stadiums, it does not seem to be stopping (https://www.netbet.co.uk/blog/2017/01/23/football-money-gentrification-football/). With it becoming harder to pay for tickets in Premier League clubs and the price of subscription going up by TV companies, there is very little needed to explain why many are moving to piracy to watch games. Frustrated and angry by the franchise, many have little sympathy on content being pirated. Most pirate sites vary in sophistication, many may steal or scrape links from other providers but streams must come from somewhere. There many parts to football piracy eco-system where content is delivered from flash, HTML5, acestream or other P2P technologies. Cricfree use Akaima media content delivery for some livestreams, although diversify the live stream sources to other operators as well, presumably copyright holders are fairly active in take down requests. These streams have blurred out corners to avoid forensic analysis on the subscriber (http://tech.thaivisa.com/this-is-bad-news-if-you-stream-premier-league-football-or-tv-broadcasts-online/18204/) and show that even media content distributors are unaware pirates are using their platform. With P2P technologies, soon developers will create an application that is intelligent, unable to be taken down and able to find HD or quality streams. Looking at popcorn time it was so popular due to the ability of it being like Netflix, Kodi apps are quite close to this, but consistency, quality and resistance to take down are features still lacking in many. How could pirates make revenue to pay for their equipment and risk of getting caught? Overlay advertising within a stream during half time and in corners of the screen which are not too much of an annoyance to the user would be one. Cheaper subscriptions than “legal” providers is another path many are taking, namely the infamous Acestream streamer named bloodzeed. It is very plausible that a capable network of technologists and criminals can provide the world with a world beating sport streaming service which could topple big sport TV entertainment channels. Pushing Google results further is not the solution, the change of business for its target consumer. Learning from history, technology is able to circumvent and barriers that organisations may put up, including technical solutions like CISCO’s protection system (http://tech.thaivisa.com/this-is-bad-news-if-you-stream-premier-league-football-or-tv-broadcasts-online/18204/). Many people already welcome sport streaming as they see legal products as too expensive. If a service prevails which is resistant to take down and provides HD content, the UK people will not be calling for it to be taken down, rather rejoice, as sport entertainment monopolists fall as they fail to engage sport fans. This cannot be solved by technology.